Public health is defined as the organized efforts of society to keep people healthy and prevent injury, illness and premature death. It is a combination of programs, services and policies that protect and promote the health of all Canadians (PHAC). Major public health outbreaks including the Walkerton water outbreak, and those caused by the West Nile virus, and SARS highlighted the need for individuals who could work at a systemic and macro policy level to address ongoing and acute public health community needs. 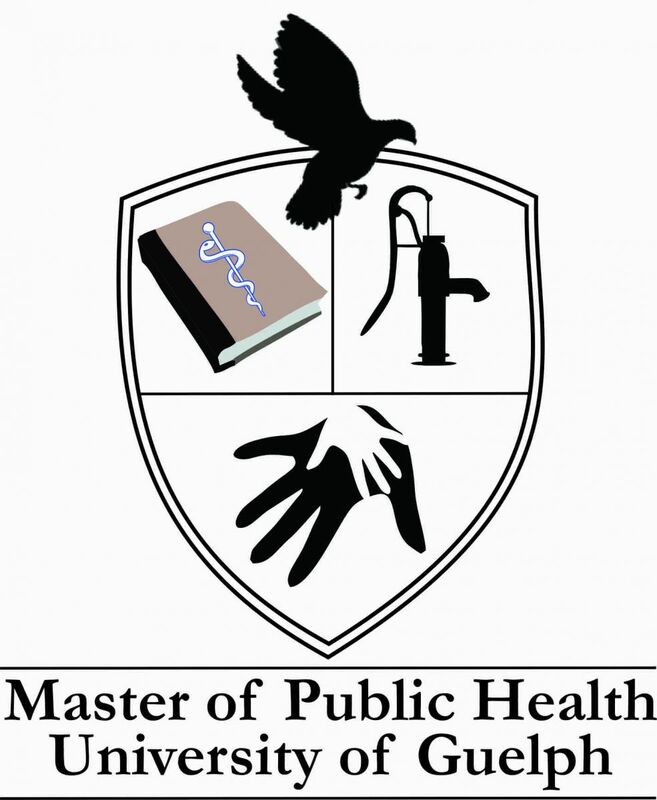 The Master of Public Health (MPH) program was created at the University of Guelph in 2008, in response to societal need and government reports that called for increased graduate-trained human resources in public health. The program was developed in compliance with the Core Competencies for Public Health and the Guidelines for MPH Schools, as published by the Public Health Agency of Canada. It was accredited by the Ontario Council for Graduate Studies in January 2009, as was the Type 3 Graduate Diploma in Public Health. The objective of this program is to ensure students are well prepared for employment in the public health sector. Contained within the Ontario Veterinary College, the MPH program is seen as the leader in infectious and zoonotic disease in MPH education across Canada. The MPH enjoys a close geographical relationship with two Public Health Agency of Canada (PHAC) offices and the main office of the Ontario Ministry of Agriculture, Food, and Rural Affairs. The Centre for Public Health and Collaboration (CPHAZ), and Laboratory for Foodborne Zoonoses also offer research collaboration. The book represents policy. The Rod of Asclepius is the international symbol of health and healing, including use in public health, medicine and veterinary contexts. The water pump represents action and intervention, and is a defining historical moment in both epidemiology and public health. The pigeon on top further represents a public health connection to a veterinary context and also is representative of the following characteristics: flexible, loyal, resourceful, intelligent, and healing. The hands represent community, connectedness, and teamwork. Public health is affected by all people, young and old, and some of the biggest impacts are made when we work together. As many of you are aware, the Ontario Provincial government announced their 2019 Budget “Protecting What Matters Most”. An unexpected component of the budget was the reduction of the number of public health units in the province from 35 to 10. Of note is the language of regional public health entities and regional boards of health – a movement away from public health units. A common governance model will be implemented along with these boards by 2020-2021. The rationale provided is that the current system has public health units outside of the health care system.